BEIJING, Jan. 22 (Xinhua) -- President Xi Jinping on Tuesday extended his Spring Festival greetings to military veterans and retired military officials. 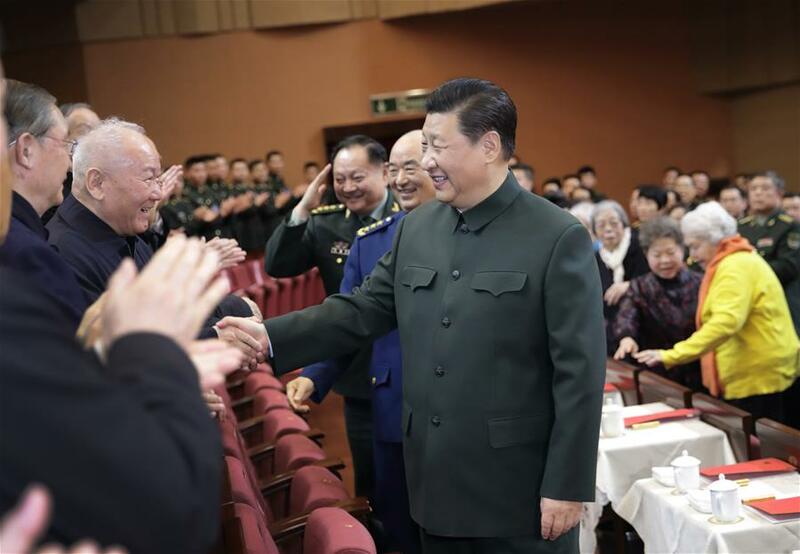 Xi, also general secretary of the Communist Party of China Central Committee and chairman of the Central Military Commission, watched a gala for retired military officials with Beijing-based troops. Xi shook hands with the retirees and asked about their health and lives. Songs and dances about building strong armed forces and the military's loyalty to the Party were performed. Senior military officials including Xu Qiliang, Zhang Youxia, Wei Fenghe, Li Zuocheng, Miao Hua and Zhang Shengmin were also present at the show. Spring Festival, the Chinese Lunar New Year, falls on Feb. 5 this year.